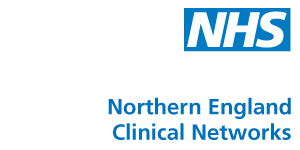 The Northern England Clinical Networks are made up of members from a wide range of specialisms across all related conditions who share a common aim of wanting to improve patient experience and outcomes. The Networks are always developing and welcomes anyone who has an interest in improving the care for those experiencing poor mental health, dementia or a neurological condition to get involved. Develop and implement evidence based pathways of care. To improve rates of diagnosis of dementia. To inform and educate healthcare professionals in a way which will assist them in their ability to deal with dementia patients and their carers.